I will manually create 40 Dofollow Backlinks from PR9-5( Page rank on root domains) . 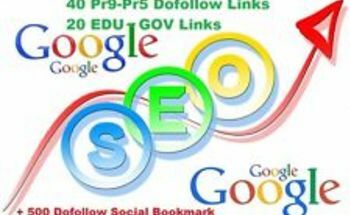 All are High Authority and dofollow permanent backlinks. I will manually create 20 .EDU/.GOV profile backlinks from high authority domanis. An "edu and gov backlink" is simply a link from a public institution (University, High-School, etc) that points back to your page. These websites have a huge authority in real life but also in the search engines. Hello, we are DCMA and we have more then 10 years experience in SEO and our main product we offer is a to rank higer in Google with schema. Because of some security issues..we will never refund any order!